The recovery in business travel during the first half of 2011 means fewer available rooms and higher costs. Use these tips to find the prime locations at the best value for your next business trip. Overlooked in the media coverage about the recovery in business travel during the first half of 2011 is the fact that hotel demand has tipped upward too. As business travelers (or road warriors, as I like to call them) return to the road in greater numbers this year, the slowdown in hotel expansion has become apparent. We’ve all experienced higher occupancy rates and higher prices. More fee-based services (and higher fees) are also a feature of the new economy of business traveler. What’s a road warrior to do? LOCATION, LOCATION, LOCATION. 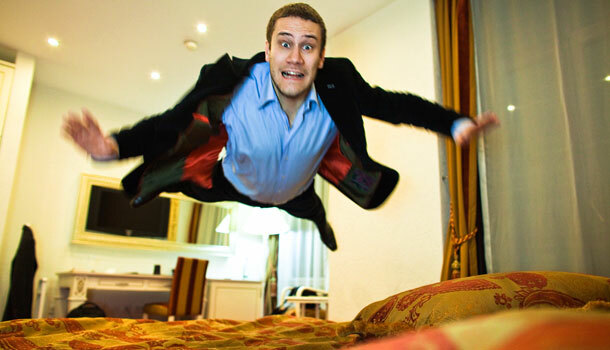 There are several tactics business travelers can use to deal with booking and pricing issues. First, bite the bullet on location. Sure, as a Travel Leaders study reported, location is the prime factor for road warriors in selecting a hotel. I generally follow the rule that it is always much easier to get out of a major city during commute times than to get in. Also, staying in a downtown area usually makes your options way more open when you want to catch up with a business contact over coffee or lunch or whatever. Renting cars gets to be more expensive and logistically nightmarish as time goes by; I really tend to avoid it. When you are visiting a smaller city on business, however, it pays to look beyond the small center city and rent a car. Rates in the suburbs are usually far more competitive than downtown, but you’re still close. So, when location is not critical on a business trip, don’t get stuck thinking “I’ve got to stay in center city.” On the other hand, if your finance manager tells you to rent a car for an overnight in Parsippany, that probably will be a too distant to ensure you can navigate rush hour and still make your appointments. DO YOUR HOMEWORK. If your company has a managed travel plan you may already be reaping the rewards of negotiated rates; these usually decline in cost the more you use them. This is one huge reason that it doesn’t pay to circumvent company policies. But if your company gives you the latitude to find better hotel bargains or just doesn’t have a policy, it behooves you to check out key discount travel websites. You might check out sites like Kayak because it does comparison shopping for you. Just remember, when you book a hotel yourself you should always confirm at the front desk that the rate they are charging is what you had booked. For complex trips I prefer an honest-to-goodness travel agent, because they know how to help me make the best choices, avoid the pitfalls, and often find deals that aren’t really obvious–or even available–on the Internet. WORD OF MOUTH. Even if your company doesn’t have a negotiated rate, some secondary hotels will give you a break. Talk to them. If you’re a loyal customer, they won’t want to lose you. Talk to colleagues and friends. Often word of mouth will turn up bargains–and disclose problems–that you otherwise wouldn’t hear about. Naturally, you can share this intelligence via Facebook and Twitter. YOU GET WHAT YOU PUT IN. If you want to find a pearl, you have to dig. Many business travelers are just too busy. Still, if you can invest the time, one of your first stops should be the Business Travel Center at TripAdvisor.com, which features other road warriors’ advice from first-person experience. To some extent, I like to think I can be my own trip advisor. So whenever I visit a city afoot, and assuming I can fit it into my schedule, I like to swing by a good-looking hotel and take a spin through the lobby. Those I can’t investigate, I make a note to myself to check on next time. KNOW YOURSELF. What do you really want in a hotel room? Look in the mirror and ask yourself to be honest. What about those other services? Where does proximity figure into your equation? Does it have free wireless Internet access? (You’ll be surprised how many properties still charge for it; sometimes it’s disguised as a “resort fee.”) How about complimentary breakfast? (This is a biggie for me, but might not be for you.) Valet parking? (Not so important.) Some properties have a concierge floor that offers tons of perks. Even if you don’t book a room on that floor, your concierge is perhaps your hotel’s biggest moneysaving resource, with advice on restaurants, car services, shopping, sightseeing, shows–and they often have coupons to many of those destinations. It bears repeating: loyalty matters. Hotels, especially the good ones, know that repeat customers are their bread and butter. If someone recognizes you at the front desk or can see you’ve stayed there a few times, you’re way more likely to get room upgrades, special rate offers, and so on. The personal touch goes a long way. CONSIDER THE FULL PICTURE. To honestly assess which property is the one for you, you need to calculate all the features that count and see how they compare. For example, what about your hotel’s business center? Is it a real resource with a knowledgeable and handy staff that can help you get those last-minute tasks done on time? Or is it merely an unstaffed space with a phone and a couple of old PCs? Along with the hotel’s “inside” costs/savings, don’t overlook the all-important outside costs/savings. So, if you are staying at some distance from your meeting site to save money, you need to factor in your commuting costs to come and go from that site. Overall, I find that the best way to capitalize a business trip is to make sure my agenda is full. There is always someone who deserves a visit, a lunch, or a colleague in town who’s worth an internal one-on-one. It doesn’t save money or time, but in so doing your investment of time advances your business objectives and perhaps you learn something in the process. DON’T BE AFRAID TO ASK. Once I’ve arrived at my hotel, my first priority is to check on what upgrades are available. But you do have to ask. Once you check in, be sure to inspect your room before you unpack. Before I do anything, I always run down a quick checklist. I make sure the a/c (or heat) actually works. Are the linens clean? What about the bathroom? Is the room near the ice machine or a noisy elevator? Did they put me next to the bar when I’m planning an early snooze because I have to be up at the crack of dawn? Maybe I specified nonsmoking and they put me in a room that is obviously not. Whatever the reason for dissatisfaction, real road warriors won’t hesitate to request another room. One other thing. if you know you’re going to arrive at the hotel late, make sure you guarantee the room to your credit card. Whatever happens, you know you’ll have a place to sleep when you finally arrive.